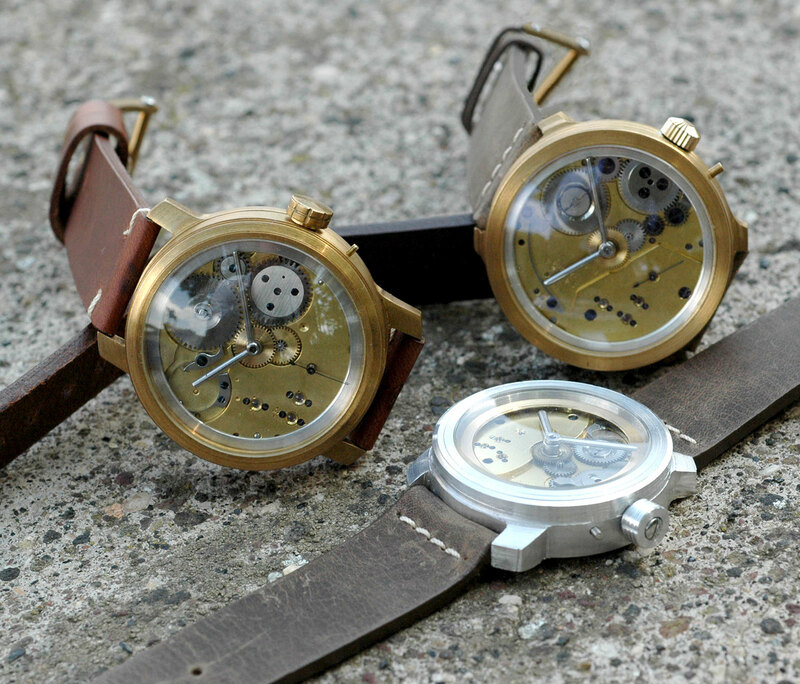 An Italian watchmaker revives antique English pocket watch movements by turning them into affordable wristwatches. Coggiola Watch Roma makes wristwatches equipped with pocket watch movements that are well over a hundred years old, but its origins are distinctly contemporary and cosmopolitan. 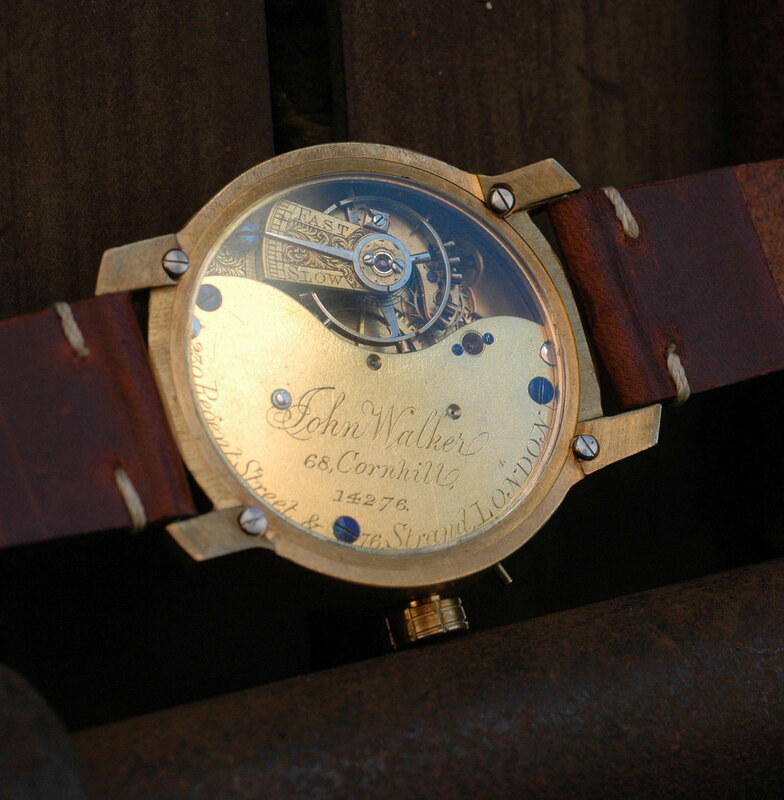 Founded by Sebastián Salvadó, an American watchmaker with Spanish heritage – explaining the Catalan last name – who now lives in Rome, Coggiola Watch Roma is named after Mr Salvadó’s paternal grandmother who was Italian. Mr Salvadó is a self taught watchmaker with a doctorate in musicology from Stanford. He got his start in watchmaking while at Stanford, learning the basics from a watchmaker in Mountain View, a city 15 minutes from the university. He then began servicing and repair vintage timepieces, before starting on his own watches in 2015. An admirer of English watchmaking for its robust, hand-made quality, Mr Salvadó uses small English pocket watch movements for his timepieces, the very movements that are the ancestors of the work done by Roger W. Smith and George Daniels. Typically dating from the late 19th and early 20th century, the pocket watch movements are restored to perfect working order, a task that includes making replacement parts like the balance staff from scratch, as well as replacing the mainspring and worn jewels. 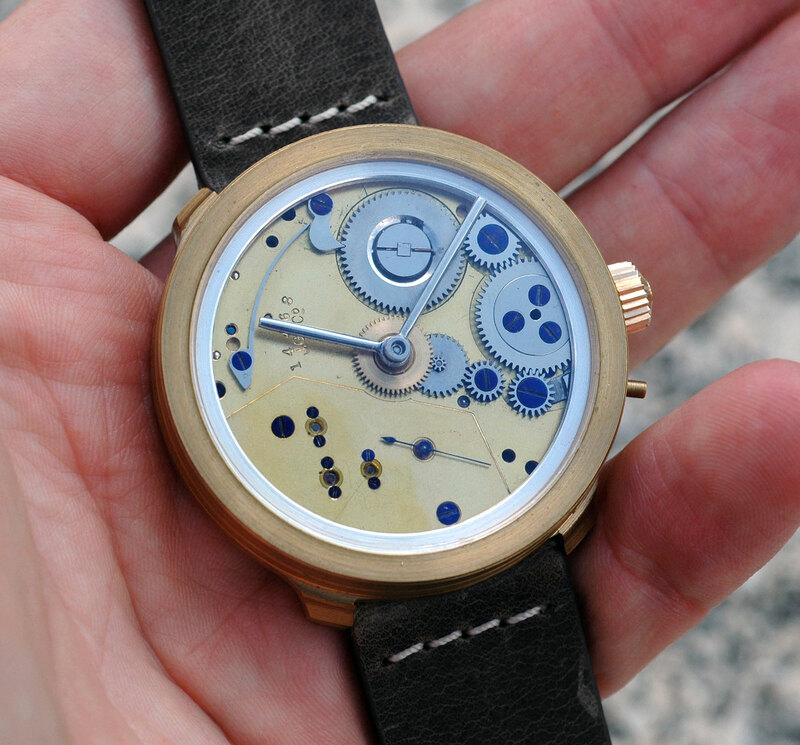 Most parts are made the old fashioned way with a lathe or mill, in keeping with the provenance of the movement. Similarly, the cases are produced in a low tech manner, out of brass, bronze, aluminium or even wood, explaining the traces of machining visible on the surfaces. 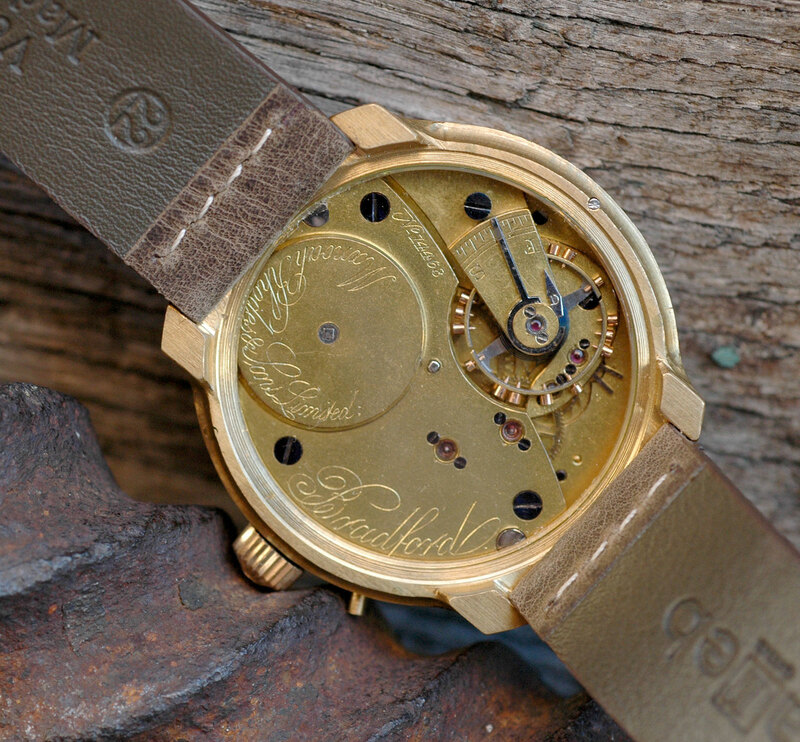 Mr Salvadó chooses such materials for their “distinct aging profiles”, which means a patina forms on the case over time to complement the antique movements. 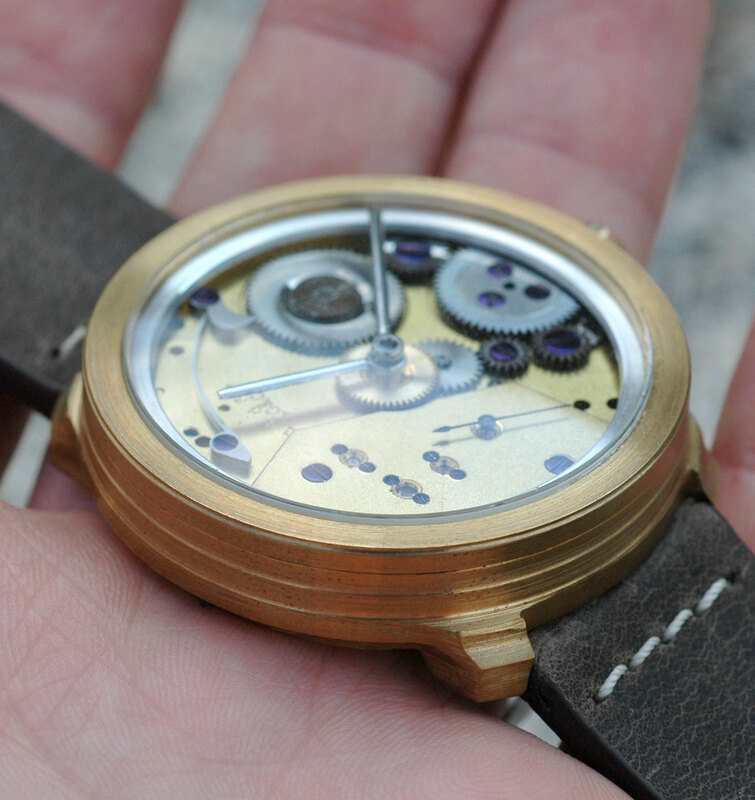 Despite being pocket watch conversions, the cases are moderate in size, being between 40mm and 44mm in diameter. Mr Salvadó is planning smaller timepieces of 36mm to 38mm. While the current offerings show the base plate of the movement as the face of the watch, Mr Salvadó is working on producing his own dials. Coggiola Watch Roma timepieces are affordable, starting at €1200 and rising to €1600 for more elaborate models. They are available direct from Mr Salvadó.